IN THE face of Singapore's increasingly strict policy on foreign workers, many companies complain, others fold and some even break the law. From declaring false salaries to get work passes, to having local "phantom workers" to meet the quota conditions for hiring more foreigners, errant employers have tried all manner of trickery. On Tuesday, the Government tightened the law to crack down on such employers. Some misdeeds, such as having "phantom workers", will not be criminal offences, so the employers do not need to be taken to court, and the Manpower Ministry can mete out fines more quickly. Some offences will be made stand-alone, with higher penalties attached. One is setting up shell companies to illegally recruit foreigners. Those found guilty will be fined up to $6,000, and jailed for at least six months and up to two years. But what makes bosses desperate enough to break the law? Employers point to two main factors. 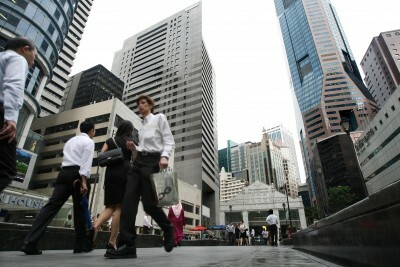 One, Singaporeans simply shun some jobs in sectors such as retail, food and beverage, and cleaning. So it is almost impossible to meet quota conditions that require a specified number of Singaporeans for each foreign worker hired. Another reason is the seemingly daunting task of getting foreign workers through official routes. "Businesses are facing a lot of uncertainty," said Association of Small and Medium Enterprises president Chan Chong Beng. The Government does not explain why it rejects applications, he added. MP Zainudin Nordin was no less emphatic when he asked in Parliament on Tuesday: "How many of these employers had to resort to illegal ways because their legitimate application for foreign workers was turned down?" Still, for every crooked company, there are many honest bosses - a point Acting Manpower Minister Tan Chuan-Jin stressed repeatedly. The Straits Times looks at three companies that have found ways to cope.